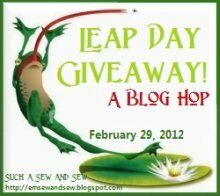 I've decided to do a 2nd Leap Day Giveaway. Another Charm pack is up for grabs. Anyone who comments before 10 PM, today will be eligible to win. Rooftop Garden by Moda: Escape the nitty-gritty city streets and sneak off to create your own secret hideaway with Rooftop Garden! Bold, graphic florals, ditsy daisies and dots pop in zesty, modern tones fashioning the ultimate urban retreat lush with style. Faux patchwork even adds a little gypsy flair! Leave me a comment telling me where you live and why you like it, if you've lived in a variety of places, tell us where and when, if you'd like. For a second entry leave a comment telling me you're a follower of this blog. I'll use a random number generator to choose the winner. I will be happy to ship internationally. Comments will close February 29 at 10 PM PST. Be sure to check here: http://emsewandsew.blogspot.com/, to see the rest of the give aways. That's even nicer than the other one! I live in Christchurch, New Zealand. Despite the earthquakes it's still a great place to live; easy to get around, normally a nice climate and it's home. Hi Jan. I live in Valtice in the Czech Republic, for the last 7 years. Life here is a much slower pace, family values are important, and, in my little town anyway, we don't see the violence and crime that we see on the TVs in the UK and USA. I'm orginally from the UK. I live about 1.5-2 miles from the large university where I attend graduate school. I usually drive, but the bus system is very good and walking some places is manageable. It's a pretty small town, so it's a little less intimidating than being in the middle of a major city. Places I've lived ... mostly south east Germany (most of the time), in former East Germany (2 years and going back again), but I also lived in Finnland (1 year) and England (6 months) .. Thanks for the "sort of second" chance! I live in the panhandle of Florida and I love it here since I live near a beautiful beach, There are lots of wonderful restaurants and I had a great place to work for 30+ years before I retired. I live in Utah, and I love the low humidity here! I live near Philadelphia. I like the area and we are close to the city and the poconos. I have visited the san fransisco area frequently and think it would be great to live near there. I cannot help it, I have to sign up for this one too. You have really good taste! It would be fun to make my teenage daughter something with these. Since she is learning to quilt we could do it together! I have just moved to NE Pennsylvania after fifteen years in Georgia. I loved the summer up here and the winter has not been so bad (but we are getting a lot of snow right now!). I know this winter was not typical, but it was a nice way to ease into the harsher winters! I have also lived in Texas (born here; lived there 4 months), South Carolina (4 years), North Carolina (most of my life - this is my "home"), Germany (3 years), Kentucky (6 months), Kansas (3 years), New Jersey (4 years), Georgia (15 years) and NE PA (7 months - so far). Whew - that made me tired! 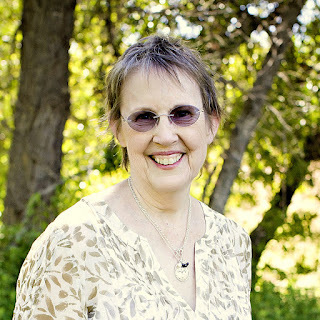 I am a new follower - glad the Blog Hop led me to your blog! I live in the UK about 2 miles from where I was born! I live in VA, USA. I love it because of the moutains and the beach . . . two of my favorite things! I live in Houston, TX. I love it! I lived in a smaller town before, so I am enjoying having so much to do and a ton of places to shop and eat! What a beautiful charm pack. I live in Alberta Canada - in the country of Leduc. I love the Alberta summer, spring and fall. winter I just put up with it. We have great seasons. Thanks for a chance to win more fabric. I live in West Virginia, just a few streets away from the Ohio River. I like to see the hills of WV behind me and the hills of Ohio in front of me. I like that I'm in a town with lots of trees/nature surrounding it. I live in far West Texas. I love living here because we have no danger from weather catastrophes, no tornadoes, nor hurricanes, no earthquakes. Just heat and dust storms. Thanks for the opportunity to win your giveaway. I am a new follower. Thanks for the opportunity to win your giveaway. Fun fabric! I live on Vancouver Island. We're on the ocean and we generally get pretty mild weather. I live in northern California in a college town called Chico. It's a beautiful little town surrounded by farmland. As much as I like it, though, after almost eight years here my husband and I are looking forward to finding a new place to explore! I'm a new follower. Good luck, everyone! I live in Olympia, WA, and have lived within 50 miles of here my entire life. I love Western Washington because it's pretty & green, we have all 4 seasons (mildly), there's not much pollution, and there aren't many natural disasters. Thank you for the chance to win the charm pack - it would go great in the quilt I'm planning for my oldest daughter. Beautiful charms!!! Love the colors. I live in So. CA and love the weather!! I live in Wellsboro, Pennsylvania and even though I complain about our winter weather, I wouldn't want to live anywhere else! Beautiful charm pack with wonderful colors...thanks for the chance to win! I live in Iowa along the Mississippi River, thanks for a great giveaway! I live north of Toronto, Ontario Canada. And just for fun we're having a snowstorm today. I am a follower. Thanks very much for the great giveways, Jan. I live in Schoharie NY - we are having our first winter storm of the year today. I've live in Nashville for the past 8 years and we like it very much! 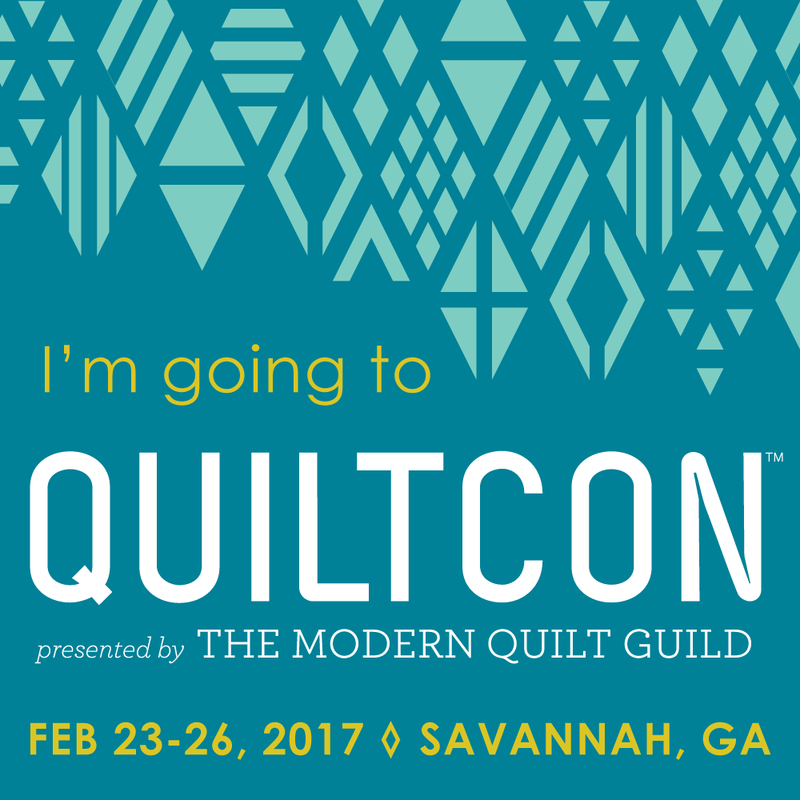 I've made so many friends in the quilting community and they have made my life here very rich and full! Thanks for the giveaway - love those fabrics!!! I live in the deep south. I love living here because the weather is almost perfect year round. Thanks for the great giveaway! I live in southern CA. It has its issues, but I love it! I live in Wyoming. I love that the summer's are relatively cool (at least at night) and the air is clear. I also like that interesting things like a stage stop sled dog race are easily accessible. I live in the desert SW and love it because there is so much to do year round (and there is no snow!). Thanks for the chance to win. I'm a new follower...thanks for the giveaway. These fabrics are gorgeous! Thanks for the chances! And I'm a follower, too! Thanks for the chances! I was raised in the Army so I traveled all over - I've been living in South LA for a while now and the best part about it is the great food. Love the giveaway! Thank you.......I Live in Texas.........great climate! I live in Texas - I have family close by. Thanks for the giveaway! I've lived different places - Miami / Fort Lauderdale lots of outdoor and water activities; Salt Lake City with wonderful mountains, great snow; Scottsdale AZ - great shopping, sun, and mountains around; Louisiana - fishing; Research Triangle Park NC with three universities. Now, rural North Central Florida which I love because my mother, siblings, nieces, nephews, and grandnieces are all close by... and have stepped off the corporate treadmill to enjoy life and quilt. I live in NC and I like it because we have mild weather compared to other states. It's where I've always lived and family is here :) Thank you for the chance. I live in New England. It's okay, but I preferred living in the south of France. I live in Tobyhanna, PA, in the beautiful Pocono Mountains. I grew up on Long Island, NY, and loved being near the ocean. Now I have lakes, trees, deer, and beautiful starry night skies. I live in Prince George, British Columbia. I like the mountains, not so hot weather, and snowy winters. Thanks for a chance to win this great fabric! I live in the UK, close to the N Yorkshire Moors (think Wuthering Heights). I have also lived in S Australia, which I loved. I live in Southern Alberta. I love it here since the winter is fairly mild (by Canadian standards) and the summers are gorgeous. We get a lot of sun and prairie blue skies, and I'm only an hour or two away from the mountains. I live in a little town in northern Michigan. I love it, we know almost everyone in the town and if I ever have a problem or need anything, I know that someone will come to my aid. We are very close knit and take care of each other. I have a group of people that I quilt with every week and I teach sewing to a group of ladies. If I lived in a city (which I have a couple of time) this would not be the case. I am a new follower. Happy Leap Day! Thanks for the hop. I live on a farm in Kansas. We just moved here 4 months ago so I enjoy learning all about this are and finding some fun stuff on the farm. We moved from Portland, Oregon, but I was raised in Iowa. I live in northern Wisconsin & most days I love it - I really enjoy the 4 seasons. However today we are in the middle of a snowstorm & have been digging out of 14 inches so far so I'm not too sure I'm liking it right now. It is beaUtiful though. Thanks for the chance to win a cool charm pack & happy Leap Day to you. What a fun charm pack! I live in Wisconsin, but we're not getting the snow here in the southern part of the state, it's rain/sleet instead. I like the rolling hills and open fields and nature in this area. Not so much in winter, but 3 out of 4 seasons isn't bad! I live in Texas and love it in the winter and fall. It's too hot and humdity the rest of the year. I live in the Shenandoah Valley of Virginia. I love it - the mountains are so beautiful, as well as the rolling farmland. Just lovely. Thanks for the second giveaway. I see a charm pack tote with these. I live in Texas and I love that it is 70 degrees today! I live in Adelaide, South Australia. I love it, beautiful weather, great beaches and a wonderful lifestyle for raising a family. I've lived in a number of places in Europe and now live in the UK. I think wherever I've lived, that has been my favourite place at that moment in time. And how could I choose between the excitement of my mis-spent 20's in Malta and the happiness of getting married in Germany or the deep contentment after 30 years of marriage, now in the Home Counties?? I live in N. Georgia (USA) where I retired to. Since we are on a lake I really do love it here thanks for the giveaway. Beautiful colors in the charm pack. Thanks for the chance to win. I am a new follower. Thanks for the second chance to win. I live in Sun Valley Idaho! I love to ski! Cool! A second giveaway. Thanks again! I live in PA and I like it here because my family is here. I long for warmer climes. I would have to uproot everyone to move with me. We live in a northern suburb of Atlanta. We moved here 25 years ago when the economy in Louisiana, our home state, was in terrible shape. We fell in love with the Atlanta area. We've made friends with a wonderful community of people. It's definitely become home for us.Take care! I live in McHenry IL, I like it cuz my husband has lived here all his life and I think that's pretty cool. Our kids have lived here all their lives too. Me, I moved around a bit, which was nice, but good to be settled. Thanks for the chance to win. I have moved 14 times in almost 42 years of being married to Mr. QnQ....born and raised in Canada but have live in the USA for about 10 years....I've lived in Ohio, Tennessee and at the moment I live in Michigan but will soon be moving back to Canada when Mr. QnQ retires.... there is light at the end of the tunnel for him....I really like living in Canton Michigan and will be sad to leave....it is a great quilting community. It will soon be time to move back and be closer to the grandpeeps. I live in a tiny place called Salt Rock, WV. I have lived in CA, AZ, IL, TX, CO, FL, MS, VA, NC, Iowa, and a few others when I was to young to remember. I lived in Virginia Beach, Va for 22 years then we moved here 6 years ago. Until I was an adult I moved a lot. I like it here my husband has a big family so we have family, space, and animals. I'm in southern Manitoba, Canada. I'm from west central Minnesota. I like it okay here, but it's so flat, with few trees and lakes. I really really miss the lakes in Minnesota. I live in the Pacific NW, and believe it or not, I love the weather here. We do get rain, but no extreme temps, hurricanes, tornados, or anything like that. I've lived in NJ, upstate NY, MD, VA, IL and CA, and I like WA the best! I live in northern Maine. Was born here and will die here. Next to the Rockies, it is one of the prettiest places in the states. We drove cross country one year and our valley is pretty hard to beat. I live in Minnesota just north of St. Paul. I do like it here a lot, but would like to live in a more temperate climate someday! Such pretty fabric, thank you for the chance to win. I am now a follower and look forward to getting to know you. I'd love to win this pack of fabric!!! I live in the Shenandoah Valley of VA, and I can see the Allegheny Mountains out my front door and the Blue ridge Mountains out my back door. I absolutely LOVE the mountains!!! I am in the Pacific Northwest, near Seattle Wa and I love it! Grew up in Minnesota and never thought I could get through a winter without snow, but now that I am older, I can really appreciate the gentle and green winters. If I want snow, I can go to the mountains just an hour away! I live in Pinedale Wyoming, a little mountain town about 7,300 ft. elevation. I love it here because we're in the mountains and just minutes from a dozen or so lakes. Right at the moment though, we're freezing - big snowstorm tonight :( But that goes with the territory and it's well worth it. I'm a follower - thanks for being so generous!! Love the Pacific Northwest - lived here all of my life. Thanks for the great giveaway. I live in Los Angeles. I love it because of the great cultural diversity and mainly the food. Yummy! But I lived in Berkeley, CA for a few years and loved the great transit systems. Oh I like this charm pack even more. I live in the Yukon Territory in Canada. It is beautiful, pristine and amazingly peaceful. I live in Panama City, and I really don't like it here. Haven't since we moved here 18 years ago. We are hoping to finally be able to get out of here this fall. I live in Ontario, Canada, in the Ottawa Valley. I love it. We have all 4 seasons, in extremes. It's peaceful, it's exciting, it's everything rolled into one. I've lived where I am now for 50+ years and have never had the desire to live anywhere else. I am now living in BC Canada, but while the climate is a little milder and winters with a little less windchill and snow...the gardening is NO good at this elevation! i find I am a little too remote and starting to crave "community" like in Manitoba. I live in Sweden and thats OK, but i would like it a bit warmer!